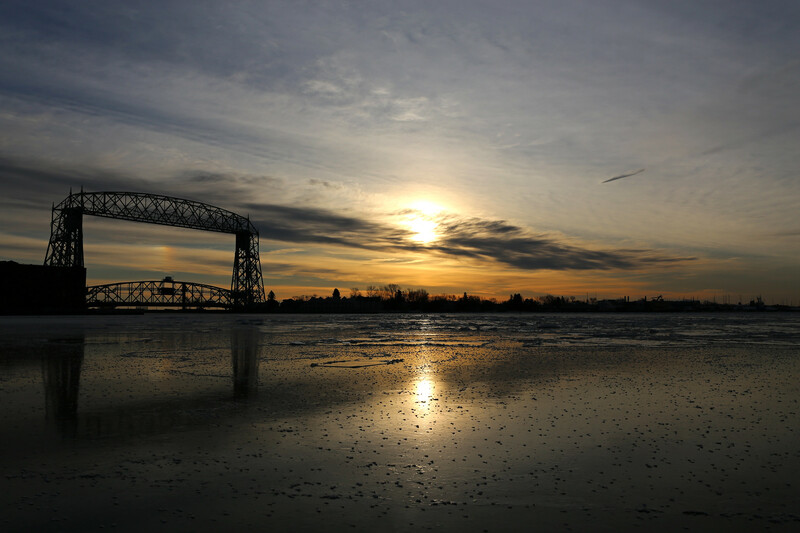 The sunlight was refracted and reflected by water droplets in the air creating the slightest bit of a rainbow framed by the Aerial Lift Bridge on Tuesday morning. Thank you and, yes, very cold! !